You’ve arrived in a new country for a week’s holiday. Where do you start? With the help of our longterm local guide, the authentic food experience of a small group tour gives us loads of insight into how locals live, eat, work and play. We learn through food about the place food plays in their lives and build understanding of their culture through food experiences. Learning how Spanish meal patterns differ to Australian meals helps us adapt our eating during our stay. Through stories, we get a different perspective on the history and lives of a nation. We learn that jamon (Spanish ham) is always offered to guests who visit, a practice that dates back to the purging of Jews from the city. 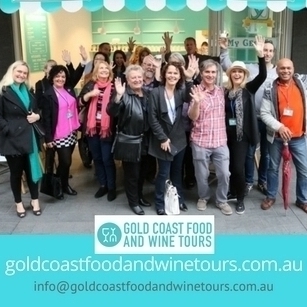 It’s a given that you’re going to eat on a food tour, but with eight or more stops and thirteen tastes or mini-meals, we experience a wide variety of regional specialties as well as matched drinks; an abundance of food. 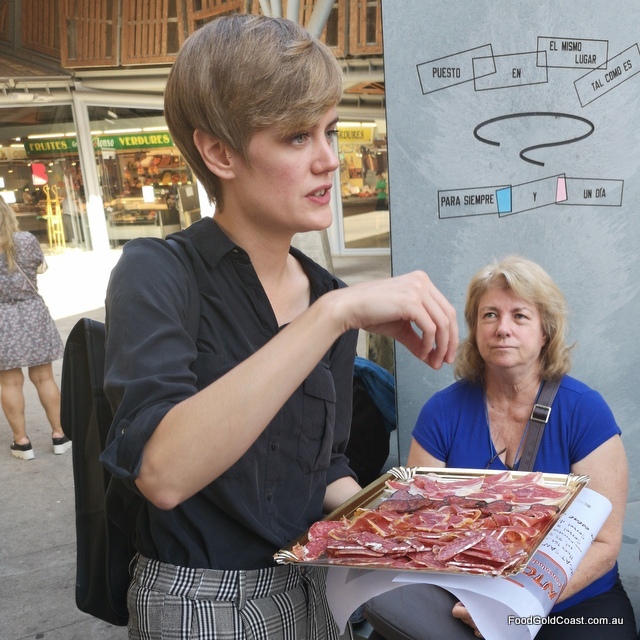 It’s a great chance for us to try local food we might not want to buy as an entire dish and to do side-by-side tastings of products, such as jamon iberico and jamon serrano while learning about ham varieties and grading. It’s a great idea to eat local food in its place of origin to put it into context. We don’t understand tapas until we’ve tried them in Spain, understanding their function between a main meal lunch and light late dinner. We’re also better equipped at picking out the ‘real thing’ over impostors, such as why we should choose a browner paella rather than one yellow in colour. Our new hero dishes include tomato bread, bomba, a good gazpacho and crème catalan. Cava (Spanish sparkling wine), and the revered red vermouth on the rocks (the drink of the moment), garnished with a spiked olive or a twist of orange, accompanied by mussels become new loves. 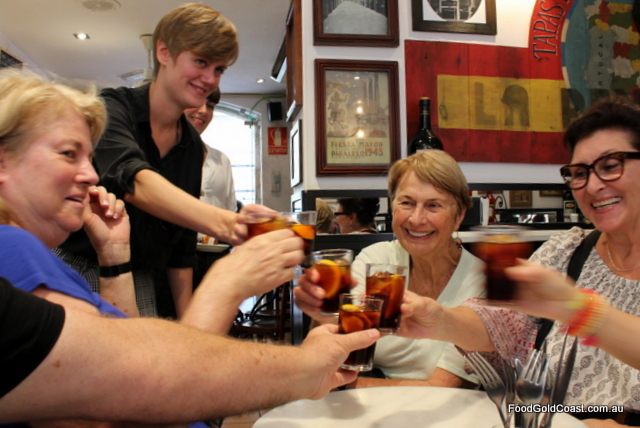 When in Barcelona, many tourists stay around La Rambla to grab a meal, paying premium prices. Instead, our food tour starts at the oldest of the city’s 42 markets, Santa Catelina, built over the top of Roman ruins in 1848. 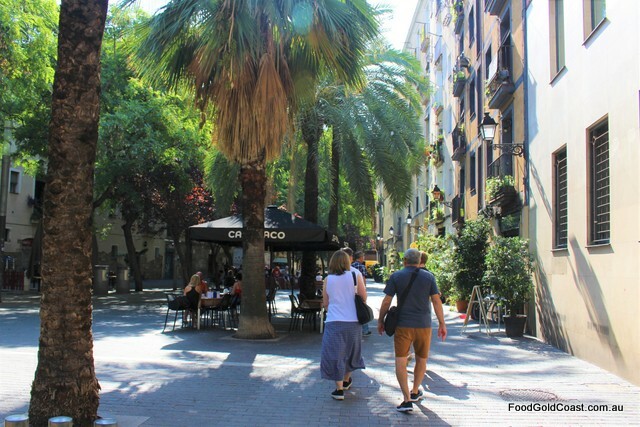 We walk through El Born and and finish in Barceloneta, the old seaside area of town, chatting as we go. 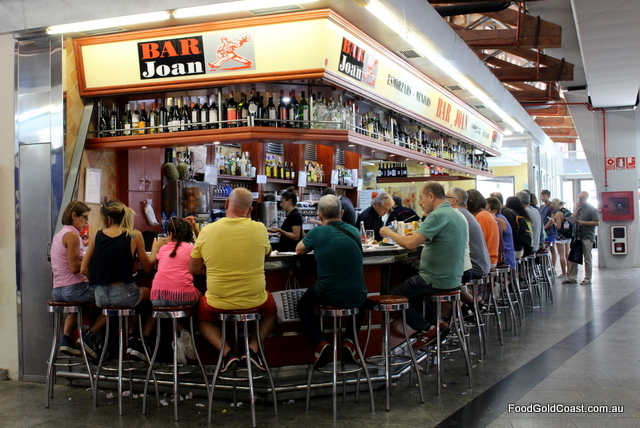 It’s a far more more authentic experience than our visit to the overcrowded La Boqueria Market that is geared for tourists. 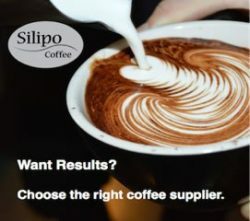 We also feel that we are supporting local family businesses. 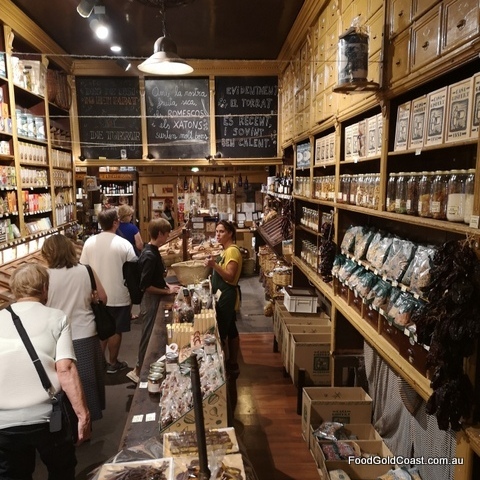 We explore the city with an expert guide, Katrina, who introduces us to the best artisan producers and gives us tips on where to eat or where to go back to on the rest of our stay. 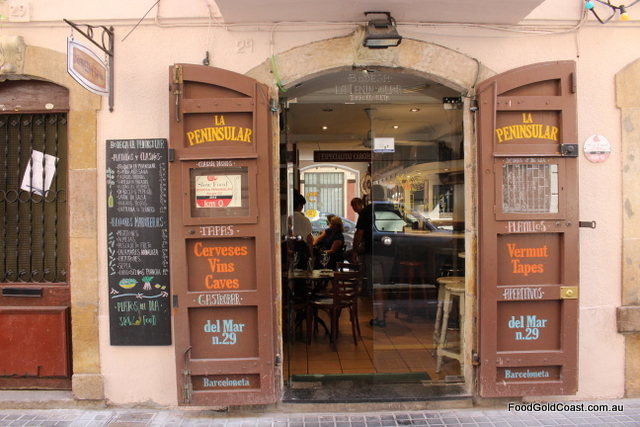 At the end of our Barcelona food tour, Devour Food Tours hands out a recommended list of restaurants and specialty stores. There’s a host of new restaurants to explore during the rest of our trip. Some of the places we visit are iconic, some recognised for their contribution to the city for over a century by a plaque at their front door. 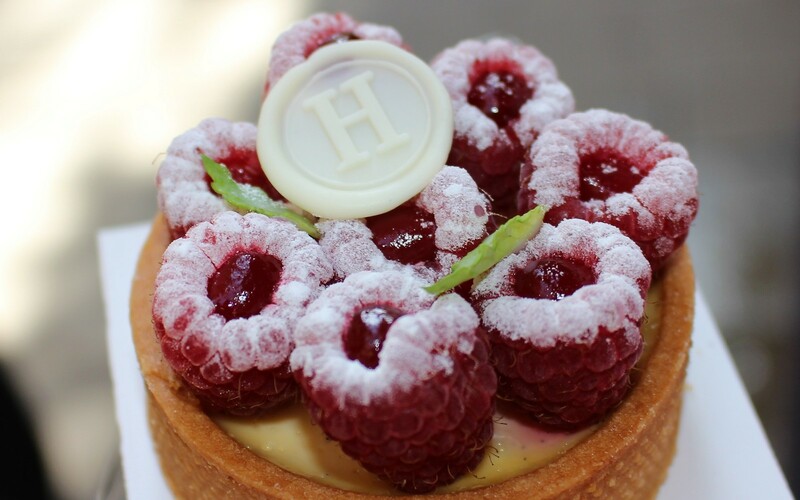 Barcelona’s Hofmann Pastisseria whose restaurant Hofmann holds a Michelin star, is a newer superstar. 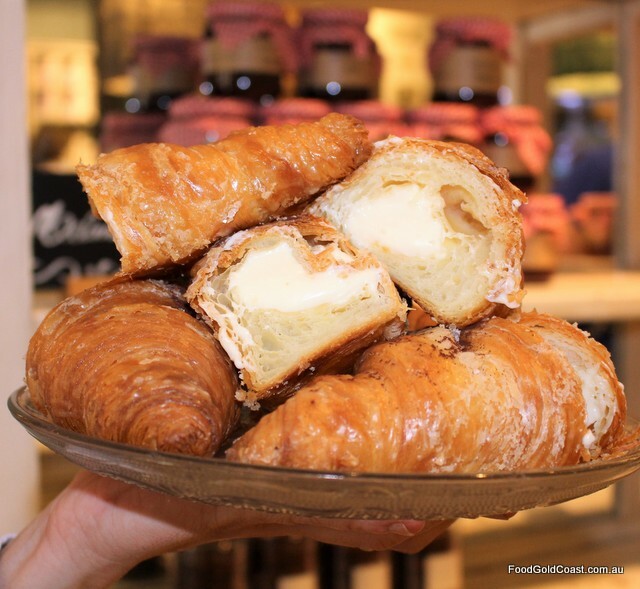 Mascarpone croissant? Yes, we’ll return for more of those! People who love travel and food are open to experiences, so there’s a high chance you’ll meet someone with similar interests while you’re having fun. Others on the tour share the discoveries they made during their trip and we also learn places to avoid. So, bite off some of your travel goals while you have the urge. Go off and taste the world. There are lots of flavours to explore.